I remember one time when I volunteered to wash my daughters’ clothes (they were babies then). When I took the clothes out of the rinse, everything was purple!! Cause…I mixed a pair of denims and a pink blouse with all the whites of my kids. That day our sampayan looked like a Barney festival. Not good. After that, I left it to our trusty Yaya Minda to do the laundry. Never mind that we were always arguing about her methods. But more on that later. All this changed during our family vacation to Bangkok in 2011. We booked an extended-stay room which came with all the amenities of a condominium including a washing machine. Not just any washing machine..it was a high tech front load beauty. And since we were staying for a week, I decided that I was going to do the laundry. This didn’t go without a fight. My hubby tried to convince me otherwise…and for good reason, I must admit. But I was not to be swayed. I got it into my head that we would go home to the Philippines with suitcases full of clean clothes so Yaya Minda would not have to wash a week’s worth of dirty clothes. So I got my supplies from the nearby grocery…liquid detergent and fabric softener. I was good and ready to make laba. Next problem…how. I didn’t know how to operate the darn machine!! It was too high tech! It was so different from the twin-tub model that we had back home. But with enough patience, I managed to figure it out. Let me tell you, after my first go at doing the laundry, I was a changed woman!!! I loved it! In fact, after that first load I immediately set up a system of separating the whites from the darks…the delicates…underwear. Yeah yeah..sounds lame, right. I’m sure almost all Mama’s know this but this was new to me. I was so in love with doing the wash that I was washing every single night. Since the machine was programmable, I would put in the laundry right after I put the kids to sleep then turn on the dryer function just before sleeping. I would wake up to clean and almost pressed clothes. And yes, we went home with suitcases of clean clothes. Yaya Minda was one happy camper. My love affair with the laundry didn’t stop there. Well, blame it on my inggitera streak…I wanted a washing machine just like the one in the hotel room. I brainwashed the hubby into buying me a new washing machine. This didn’t go without proper research..excuse me. I used reasons like saving water and electricity (both were true, thank you very much). Suffice it to say, that in the end, I got what I wanted. I got my new washing machine. A front load, energy saving, water efficient, 6-month zero interest beauty. Hahahaha!! C’mon, I wanted to do the laundry ok. Anyway, with my new machine delivered, I decided that our laundry system at home needed an upgrade as well. Yaya Minda’s “kusot muna bago ipasok sa washing machine” method just didn’t cut in anymore. Boy, did we have arguments. Yaya firmly believed that making kusot was a must. I tried to convince her that the newer machines were made to eliminate the need for kusot. She didn’t believe me. I told her that the new machines had functions (pre-wash) that did the job. She didn’t believe me. So I issued an edict stating that making kusot was not allowed. No more kusot. End of story. Since then the laundry has been sort of therapeutic for me. I will, however, come clean (pun intended) and say that I only make laba whenever I feel like it..which is rare. On those occasions that I volunteer to do the wash, nobody can stand in my way. I have carefully assembled an arsenal of laundry tools. But I still leave most of the washing to Yaya Minda because she does it so much better. I won’t go into the details about separating whites from colored. That’s Laundry 101. My rules are more on what to use. I have an affinity to laundry bags. I get them at the Japanese shops (Saizen and Daiso). When I do the laundry, everything goes into a laundry bag. Underwear and socks in a small bag. Shirts and leggings (anything in soft cotton) in another. Tops with zippers/buttons/clasps in another. Jeans in another. Pants/shorts in another. Uniforms in another. All this is likewise color coordinated. Prior to sorting there is also some stain removing. Blood stains are removed using “sabong mabango” or more commonly known as bath soap. This I got from Yaya Minda who swears by this technique. True enough, it actually works. So stains from the monthly visitor and knicks/cuts first get washed with “sabong mabango” before going into the wash.
Oil splatters and food stains get doused with hot water and some dishwashing liquid before going into the laundry. Ink stains get rubbed with a cotton ball soaked in rubbing alcohol. Other than those tips, our laundry gets pretty much the same attention as any other laundry. See what I mean…. But just because my laundry gets done well doesn’t mean I have stopped at that. Hell no!! Something has again caught my inggetera eye so badly, I’m already conjuring up ways of getting the hubs to notice it too..hint..hint..hint..to the highest level. Hahahaha!! 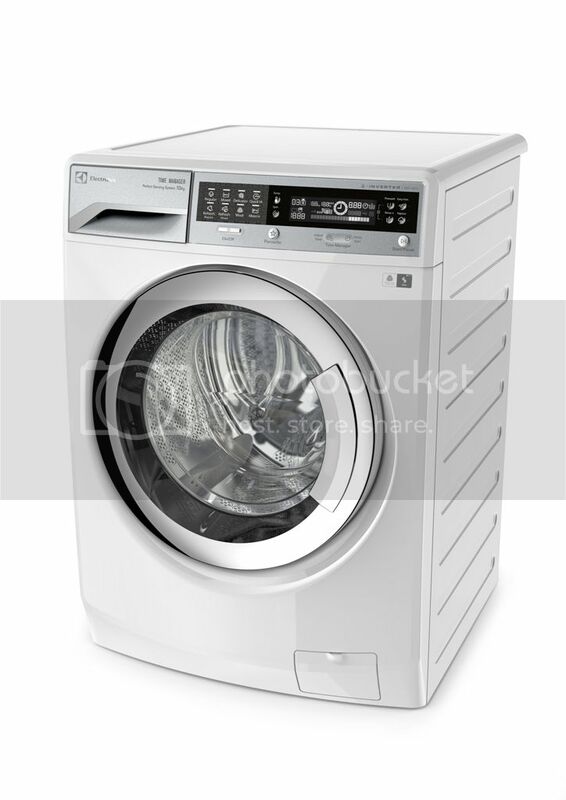 The megabrand Electrolux recently rolled out a fine line of washing machines that will make any Mama drool. At the recent Mommies Know Best event, we were introduced to the Time Manager line of washing machines which, I must admit, is now on my “I have to have this” list. The Electrolux Time Manager front load washing machine is not only beautiful, it packs a wallop of a punch. It has a special sensor that can detect how much laundry you put in and will tell you which cycle to chose as well as how much detergent to use. Just for the sake of figures, how much do you think it would cost to load one cycle? Huh..huh..huh!!! Well, one load will consume 49 liters of H2O or roughly….drum roll…..Php30.00 per wash load!!! If that doesn’t wow you, the Time Manager washing machine also has Vapour Action which effectively removes 99.9% household allergens. Perfect for our kids who have sensitive skin. 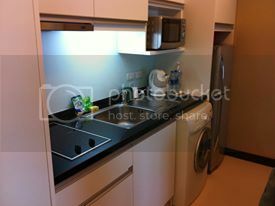 It also has a Refresh function for those of us who have “amoy cabinet” clothes that need some…well…refreshing. You might think that the Time Manager washing machine is difficult to operate. Nope. It comes with an easy to use IQ Touch panel much like a touch screen tablet. Even a kid can operate it. All you need is to know how to read and you’re pretty much good to go. Of course the next question is….Eh pano kung masira? Well, Electrolux just inaugurated its Customer Service Hub that can take care of that. They have all the parts you need as well as skilled technicians to take care of your appliances. I officially declare…I WANT ONE!!! HONEY!! I WANT ONE!!! I’m sure Adi wants one too…if I was to base it on her answer in her Filipino reviewer last year (please read #5), the family that does the labada together will always stay together. I will be giving away free stuff!! Yahoo!! What do you need to do? Just comment…the best comment (labada related, of course) wins! And this is what you can win!!! 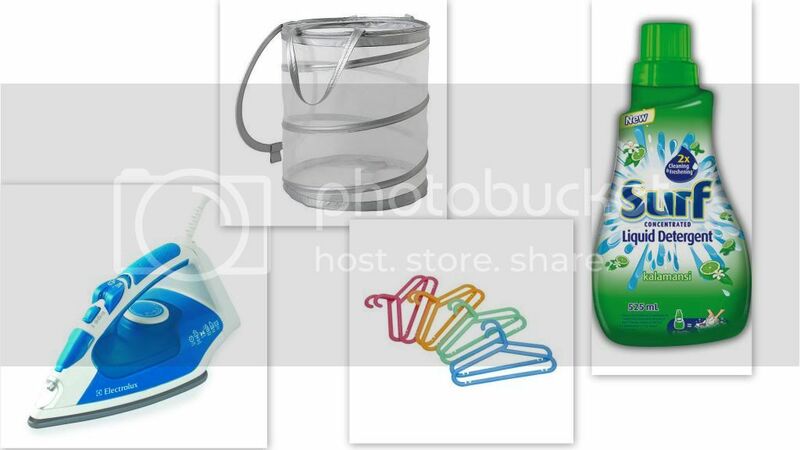 An Electrolux Steam Iron, Ikea Silver Laundry Basket, Ikea Children’s Clothes Hangers, and Surf Liquid Detergent. So comment away! You have until August 18, 2013, 11:59pm to comment! Winner will be announced on August 26. Prizes will be delivered right to your doorstep via courier. Previous Previous post: And…I’m Back!! Next Next post: I Have Tweens! !